The Azerbaijani Theater "YUĞ" will take part in the 5th International festival of meetings of city theaters (Şehir Tiyatroları Bulusması), which will be held in late October - early November in Adana,Turkey. 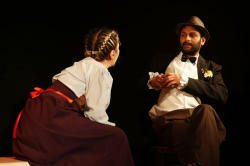 At the festival, the troupe of the Azerbaijani theater will perform the theater play called "A Marriage Proposal" based on the work of Russian short-story writer Anton Chekhov, Trend Life reported. Director of photography is Gunay Sattar, art director - Honored Artist Rashid Sherif, and composer - Honored Artist Vugar Jamalzade. The cast includes Honored Artist of Azerbaijan Vidadi Hasanov (Stepan Stepanovich Chubukov), actors Zumrud Hasanova (Natalia Stepanovna) and Elgun Hamidov (Ivan Vasilievich Lomov). "A Marriage Proposal" is a one-act play by Anton Chekhov, written in 1888–1889 and first performed in 1890. It is a fast-paced play of dialogue-based action and situational humor. 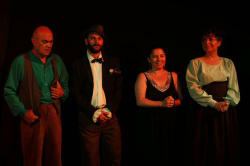 The play is set in the rural countryside of Russia during the late 1800s. It was successful in its first runs in St. Petersburg and Moscow, and quickly became popular across Russia. The theater YUĞ was established in 1989 under the auspices of the Azerbaijan State Academic National Drama Theater by Vagif Ibrahimoglu and Hasanaga Turabov. In 1992, the theater got the status of "a state theater". The name of the theater carries a meaning: YUĞ means "an old rite". Everything, however, is more complicated as it seems, because this burial ritual during which were played the scenes from the life of the deceased, symbolizes a return to the memory. The actors try reminding the spectators of what they knew, maybe even in their past lives, but just forgot. The main principle of this avant-garde theater is the relevance of chosen topics, non-standard interpretation of familiar stories and experimenting with new forms. 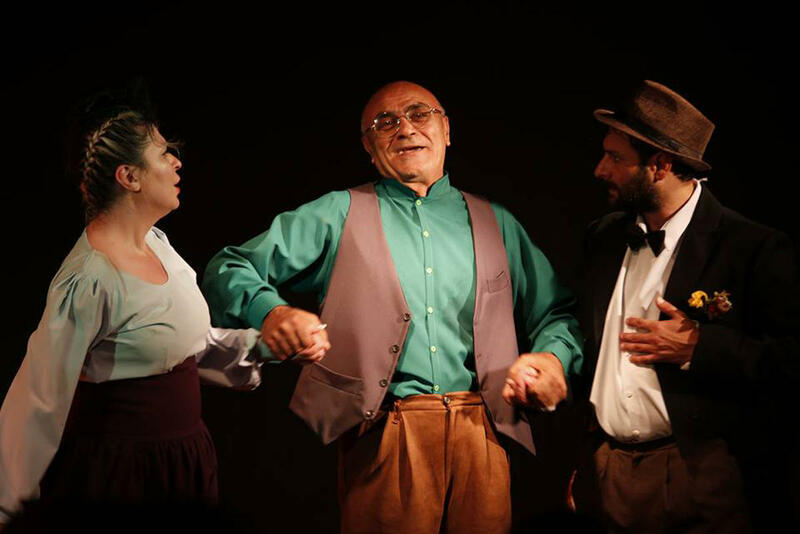 During its history, the Azerbaijan State Theater YUĞ has staged more than 90 plays. Today, it occupies a special place in the theater art of the country. The theater’s troupe participated in many international festivals. 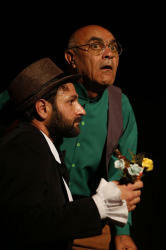 Plays by William Shakespeare, Johann Wolfgang von Goethe, Giovanni Boccaccio, Nikolai Gogol, Kōbō Abe, as well as Azerbaijani classical and contemporary authors are regularly staged in the theater.